Answer quick: Is your website ADA compliant? …If you hesitated at all, that’s not good. It’s time to take a look at your business’ or service’s website through the eyes of a different set of potential customers — people living with disabilities. But, my website is easy to read and simple to navigate! 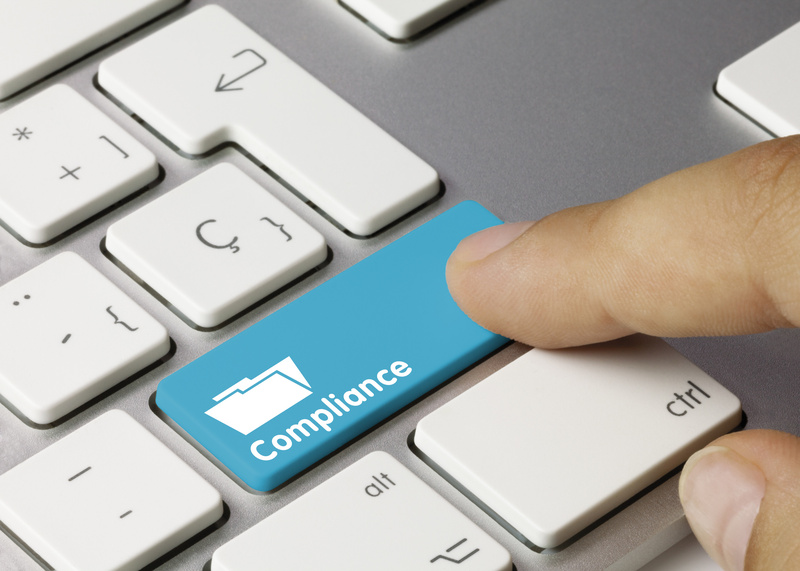 ADA website compliance is more than just providing a great user experience. And not being up to standards can potentially hurt your bottom line. The Americans with Disabilities Act (also known as the ADA) was signed into law in 1990. It’s the government’s safeguard for the civil and equal rights of all Americans, despite certain physical limitations. For brick and mortar companies, this means installing wheelchair ramps and having readable signage in braille. Companies bear the burden of ADA compliance, making travel, commerce, and other activities finally possible for people with disabilities. The Internet revolutionized everything, making many brick and mortar spaces a need of the past. For some people with disabilities — especially those with mobility issues — this was a game changer. For others, lack of website ADA compliance meant even more difficulties with access than before. Assistive technology can help people with disabilities surf and navigate the Internet, but ADA website compliance is more crucial than ever. For example, people who are visually impaired, or blind, use screen-reading technologies that can speak the text on websites. Other assistive technologies include using voice recognition software instead of moving a mouse, as some people do not have use of their hands. Web designers need to be aware of the potential pitfalls of completing projects that are not ADA website compliant. Businesses can lose money or potentially be opened up to legal liability for their lack of user-friendliness. There are simple features designers can incorporate to make websites more user-friendly for people with disabilities. Using “alt text,” or alternative text, in identifying images on websites and social media posts is one key way to become ADA website compliant. When a person who is visually impaired cannot see an image that contributes to the overall usability and understanding of the page, it’s impossible for them to benefit from the content of that image. It’s one simple line of code for you, but it can make the difference in someone’s user experience. Title III of the ADA mandates that “places of public accommodation” remove “access barriers” to those with disabilities by law. This includes Internet businesses, and the websites of brick and mortar businesses and service providers. With almost 50 million people with disabilities in the United States alone, your business is much better off being inclusive. If you have video, make sure it has closed captions. If you have pictures, make sure they have alt text. If you have lots of options, make sure they’re accessible without a mouse. Your SEO score and Google ranking will improve if your website is ADA compliant, and your reputation is on the line. Consumers take to social media to publicly vent about their trials and tribulations with many online businesses — and you don’t want to be one. There are many reasons to be an ADA compliant website, but here’s the big one: You can avoid having to pay fines and deal with litigation if you become compliant now. Big brand names including Kylie Jenner and Brooks Brothers have been forced to pay fines for lack of ADA compliant websites. Save your money …and your reputation! Use the right tools to optimize your website for those with color blindness, low levels of hearing, inability to use a mouse, and more. Colors and Contrast: This helps people who are colorblind or contrast-blind. Text Alternatives: Make sure your image alt text and video descriptions are written with descriptive language. Give your readers the best mental picture you can. Make videos accessible with closed captions. Use Good Code: This may not seem like it makes an impact on ADA website compliance, but the use of semantics and “friendly” HTML code makes the Internet easier for all. Keyboard Navigation: Make sure users can “tab” through your website using also the arrow keys and the return key. This can be tricky but is necessary for true compliance. Keep It Simple: Ease of use design and simplicity of style is important. It’s not that your website shouldn’t have all the bells and whistles — it’s that they should be simple to navigate and describe to those without the typical user experience. Make Your PDFs and Tables Accessible: If you have these special elements in your webpage, ensure that they are also ADA compliant. Tables and their elements all need captions, and PDFs need to be able to be read via speech for the visually impaired. These and other steps may be necessary in order to make your website ADA compliant. In order to learn how to your website ADA compliant, there is an available online course, hosted by the US Federal Government’s General Services Administration; Access Board; Department of Justice; and Department of Education. This colloquium is intended for web developers and companies looking to understand the fundamentals of accessible web design and does include interactive demonstrations. We’ve got the best resources for web designers on how to create ADA compliant websites. We can also help your business perform an ADA website compliance audit to make sure that it’s all-around within the law and other best practices guidelines. Time is of the essence: Get in touch with us today!